It is defined as "line art" no half tones or raster image processing with decent quality base art. It is defined as art which may have multiple effects like shading, half tones and raster images. Super Complex Art = Quoted on an individual basis. It is super Complex Art projects are quoted on an individual basis. You will receive a quote before we start. 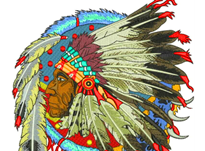 X Digitizing is one of the finest embroidery digitizing service in USA. Our custom embroidery designs create high quality results. When it comes to small lettering and minute details, we always win. We offer embroidery digitizing techniques from regular to special and customized digitizing. If you are new to embroidery digitizing, it is the process of taking a logo, pattern, other any artwork and converting it into a digital file in certain format/language that the embroidery machine can. Embroidery digitizing is a complex process which uses stitch types, including fill stitch, satin stitch and running stitch to create an embroidery design. We know the ins and outs of the embroidery process, which gives you the best value and the most efficient results. Our embroidery designs are made to minimize thread changes, run smoothly on your machine, and produce crisp looking designs. 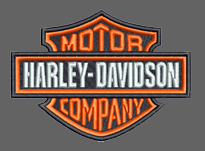 Custom Embroidery Digitizing can be critical, irrespective of its complexity of the design. Some embroidery designs are just lettering or monogramming from pre-designed alphabets while others can be custom designs. At X Digitizing, our digitizing expertise comes from our extensive experience in the industry. We work for Fortune 100 clients in UK, Australia, Canada and USA. We deliver high quality work at unbeatable speed and prices. 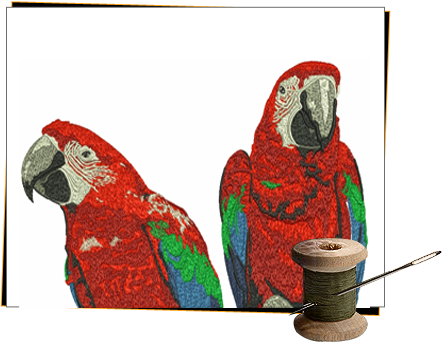 Wouldn't you like to partner with us for digitizing your embroidery projects? 100% Satisfaction Guarantee: Our digitizers aim to get it right at the first time. Lower Costs: This means fewer thread breaks and optimized thread count for lower production costs. Eye For Detail: You will get perfect detail and accuracy even on complex stitch designs.